Refill your gas and stay warm this winter. Free delivery for Hout Bay, Gardens, Vredehoek and Oranjezicht. An elite range of power tools – now available at Jack Hammers. As a thank you to our loyal customers, you can earn 6% back on purchases and a free cup of Dario’s true Italian coffee! 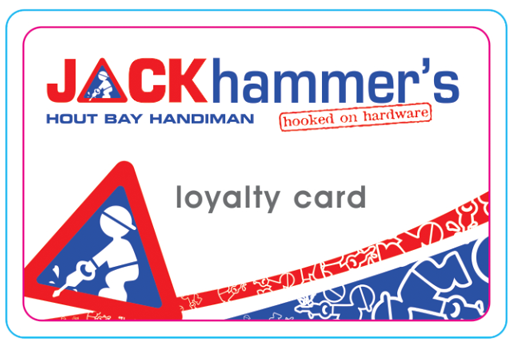 Get your Jack Hammer's Loyalty Card from any location, and enjoy Dario's True Italian Coffee, FREE!